MARINA 45th Anniversary Contest: Win Up To Php75,000.00 in Cash! Forget about your COPs, COCs and Licensure exams. Here’s a new way to get busy while sailing. ‘Forty-five!’ is a contest on the most appropriate logo design for the 45th anniversary of the Philippine Maritime Industry, celebrating the gains of the industry. Forty-five years of maritime excellence. It will be held between 26 September 2018 and 30 November 2018. The contest is OPEN to all Filipino citizens residing in the Philippines, aged 18 years old and above. Each participant should submit a hard copy of their entry (and a digital copy may be sent beforehand through scs@marina.gov.ph) at the Maritime Industry Authority – Strategic Communications Services Office, 4/L Parkview Plaza Building, Taft Avenue corner TM Kalaw Street, Manila. Each participant is allowed to submit a maximum of ONE (1) entry only. Deadline of submission will be on 30 November 2018, 11.59 PM. The deadline will automatically close and reject any entries that will be submitted thereafter. The entry to be submitted should be a rendering of the logo capturing the essence of the 45 years of MARINA in the maritime industry. The logo should incorporate ‘45’ in the design and use the navy blue color as its dominant color, with light gray, sky blue and bright yellow as the other colors. Created by the contest participant. Created and rendered with any design tool. Violate person’s rights, including, but not limited to copyrights and privacy. Previously submitted or won in any logo design contest. Winning and all other entries shall be the property of the Maritime Industry Authority. The decisions of the appointed judges will be final. The actual scores and tabulations will be posted at the Maritime Industry Authority building premises. The awarding of winners will be conducted during the 45th Anniversary of MARINA on 1 June 2019 in Metro Manila. By joining this competition, the participants agree with the mechanics of this contest and all the provisions provided. ‘Sail Away’ is the Philippine Maritime Industry Authority’s (MARINA) slogan writing contest capturing the vision of a progressive industry and celebrating its gains in the last 45 years of maritime excellence. Each participant should email to scs@marina.gov.ph one’s slogan with the entrant’s Full Name, Address, Mobile Number and Email address. Each participant is allowed to submit a maximum of FIVE (5) entries but can only win once. Should two or three of its entries place, the highest-ranked slogan will be considered. Each entry should not be over 8 words long. It can either be in pure Filipino or straight English. The slogan should be drafted/ written/ created by the contest participant. The slogan entry should NOT violate person’s rights, including, but not limited to copyrights and privacy. The entries should not have been previously submitted or won in any slogan writing contest. 40% – Relevance to the theme. 20% – Clarity of message. Prizes for MARINA’s Slogan Writing Contest. ‘Panalo, Maritimo!’ is a contest on the most visually-appealing photograph capturing either the beauty of the Maritime industry, the gains of the industry, safety measures of ships, or any other facet of the Philippine Maritime industry. It will be held between 26 September 2018 – 30 November 2018. Deadline of submission will be on 30 November 2018, 11:59 PM. The deadline will automatically close and reject any entries that will be submitted thereafter. The contest participant is responsible for securing – prior to submission of the entry – a formal consent from concerned parties if the image contains any material or element that is not the participant’s property, or if any person appears in the photo (i.e. subjects of the photo). MARINA should not – in any way – be held responsible for the contest participant’s inability to secure the necessary permission or consent for their submitted entries. Created and taken by the contest participant. Created and taken using mobile devices like smartphones and tablets and SLR cameras. Pictures should be printed in Matt Photo Paper, A4 size. Taken using the best settings of the mobile device or an SLR camera. Taken from 26 September – 30 November 2018. Contain watermarks or any identifying mark. Previously submitted or won in any photography contest. Contain images of elected government officials. All entries will be pre-numbered. No other identifying marks will be allowed to appear in the artworks. Winning and all other entries shall be the property of the organizers and will be exhibited during the Day of the Seafarers on 25 June 2019. Deadline and Prizes. MARINA 45th Anniversary Photo Contest. The awarding of winners will be conducted during the Day of the Seafarers on 25 June 2019 in Metro Manila. ’Ang Pambansang Marino: A Philippine Inspiration’ is the Philippine Maritime Industry Authority’s (MARINA) search for the most inspiring stories of Filipino seafarers – domestic and overseas – highlighting the Filipino values of family orientation, hard work, resilience, sacrifice, dedication, and love for country and community. Ang Pambansang Marino Video Competition. Visit the Maritime Industry Authority’s official Facebook page (@DOTrMARINAPH). Look for the Ang Pambansang Marino Contest post. Send the link of your uploaded video through the comment section with your name and location. Separately send through our FB messenger your Full Name, Address, Email, Mobile phone number. Winners will be asked to send an image of their valid ID prior to the awarding ceremonies. Winners will be asked to send an image of their valid ID prior to the awarding ceremonies. A search for real-life stories about a Filipino seafarer showing why this seafarer’s life is an inspiration. It can be the life story of a seafaring family member, a seafaring friend, or about oneself being a seafarer. It is open to the general public for Filipinos residing in the Philippines aged 18 years old and up (employees of the Department of Transportation and its attached agencies, including MARINA, are eligible to join). The search runs from September 26th and ends on November 30th 2018 to be considered for the final assessment. The contest requires the submission of a video clip or video presentation using a mobile camera or otherwise, running for a minimum of 2 minutes (minimum) and a maximum of 5 minutes in any video format (flv, mov, avi, mp4,etc). Submissions will become the property of the Maritime Industry Authority and may be used in any future marketing activities of the agency. The video orientation can either be portrait or landscape. Entry submissions may use texts, audio, music, photographs within the video clip to enhance the story as long as these do not violate the rights of persons, privacy and copyright. MARINA will not be held liable for any violations that may arise on the video’s content and creation. It should carry a title. The video entry must be original and made by the contest participant. It should not have won in any other contest. The video should not have any government official in it. A participant can send a maximum of only one (1) entry. The video submission should be uploaded to the participant’s Facebook page (should be Public) and the link should be sent to the official MARINA Facebook page (@DOTrMARINAPH) on the particular contest post (comment section and messenger). The search will have an appointed panel of judges to choose the best three stories using the criteria below. Their decision will be final and unappealable. The set of winners will be awarded during MARINA’s Day of the Seafarers on 25 June 2019 in Metro Manila. All three winners will receive plaques and cash prizes. Filipino seafarers are talented. 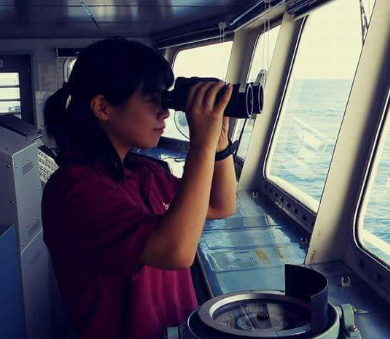 We are not only good in performing various jobs on board but we also have unique skills hidden inside of us. Let’s show them what we’ve got! See you at the competition and may the winds be on your favor.